Sony just announced a new camera called the RX0, but breaking from the trend of lower number = fancier camera, this one is a tiny device that combines an action-cam form factor with some traditional imaging prowess. It’s an unusual combination, yet somehow tempting. The waterproof, shockproof RX0 has a 1-inch, 15-megapixel (cropped down from 21) sensor and a 24mm-equivalent F/4 lens, which right off the bat differentiates it from GoPro cameras, which generally have smaller sensors with super-wide-angle, relatively slow glass in front. But it lacks a zoom and many of the other useful features of a pocket camera like the RX100. So you’re not going to be walking around taking snapshots with this thing. It seems that the RX0 is being put forth as a sort of modular system for videographers who need the ruggedness and versatility of a GoPro but want a bit more control and fidelity. 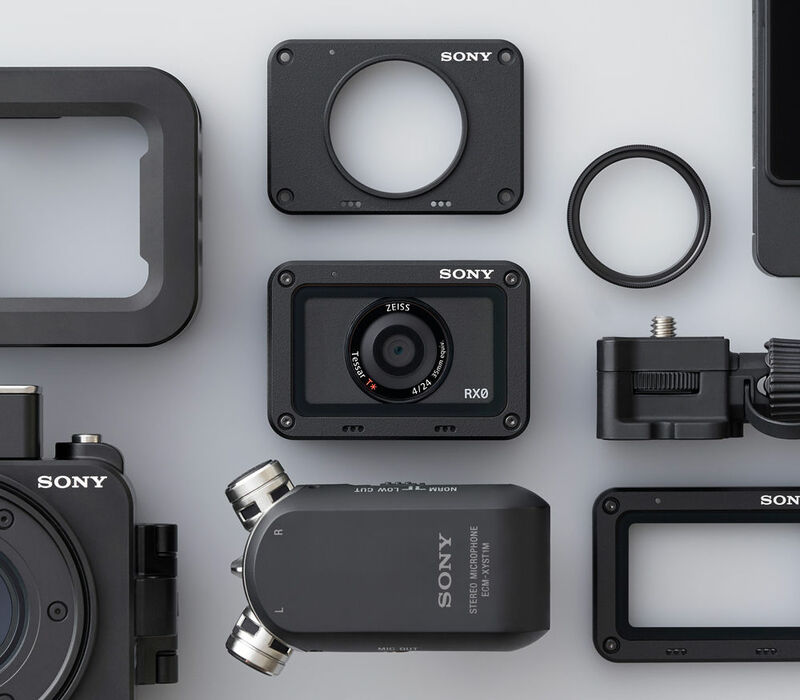 B cameras on set and outside (depending on the image quality), shooting from multiple angles (multiple RX0s can sync together), super slow-mo footage (it goes up to 960 FPS), and so on. While its $700 price tag might be a bit much for people who just want a camera to attach to their bike or surfboard, there are plenty of people who would opt for the RX0 instead of a GoPro. It’s an odd little device, no doubt, but the more I think about it, the more I feel I’d prefer it for non-traditional duties. It’ll be available in October.